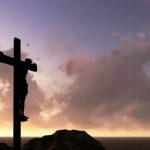 By Dr. John Ferrer| Jesus of Nazareth is the most disputed character in all of history. Most of the world’s religions incorporate him into their teaching, whether as a morally perfect prophet (Islam), a divine manifestation (Baha’i), or a reincarnated god (Hiduism). Buddhists believe he is a grace-giving demigod or even a Buddha. 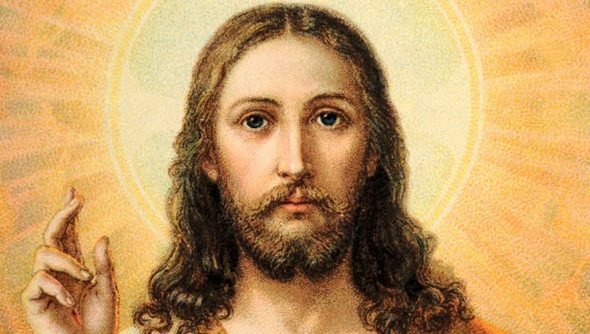 Christian cults like Jehovah’s Witnesses and the Mormon Church readily incorporate Jesus as a partial divine, more than man but less than the full deity of Father God. Jews fully reject Jesus as a false prophet and a failed messiah. Meanwhile Atheists and skeptics tend to see Jesus as a liar or a lunatic. Mythicists debate his very existence with skeptical weapons set on 11. 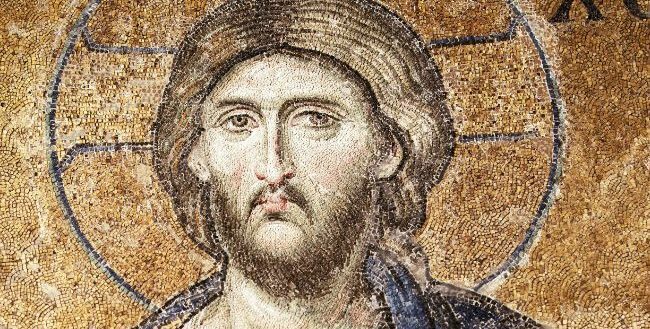 Clearly, Jesus of Nazareth is a contentious character, and so we should not be surprised that Christian history has held many theological battles in the theatre of Christology. The church has fought hard to answer, “Who is Jesus?” If He is, indeed, “the way the truth and the life” and “salvation is found in no other name” then we should make sure we aren’t dealing with a distorted pseudo-Jesus (John 14:6; Acts 4:12). Theological integrity is a matter of ultimate importance here. Heresies about Jesus (a.k.a., christological heresies) make for an important study because Jesus just might be the most important person there is. First we may ask, what is a heresy? The short answer is, “aberrant teaching.” A heresy is some teaching which departs from core Christian teaching. But that definition is a little unclear. It doesn’t really help quell the human habit of exaggerated accusations, nor does it help distinguish between denominational versus heretical disagreements. Often people throw around the term “heresy” with little concern for the implications of this imposing term. Heresy is a libelous term and shouldn’t be used lightly. For our purposes here, we need to see what really qualifies as heresy. But to do this, we need to know what is orthodoxy. Orthodoxy (Lat., “right doctrine/teaching”) refers to the established, agreed-upon, and time-tested theology of the historic Christian faith (incl., Catholics, Protestants, and Eastern Orthodox). A similar concept is orthopraxy (Lat. “right practice”). Sometimes these notions, right-practice and right-teaching, are fused under the parent-term orthodoxy. We’re just looking at teachings about Christ (a.k.a., christology) so we don’t need to address orthopraxy here. There is a lot of gray area in the notion of “orthodoxy,” and there are many disputes over particular teachings and whether they count as heresy, such as “open theism,” or “baptismal regeneration.” But we have an imperfect yet reliable way to identify what is probably orthodox and what is probably not. 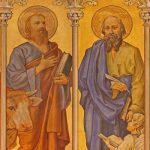 Does it pass the test of Apostolicity (it is affirmed implicitly or explicitly by the teachings of the prophets and apostles in biblical times)? 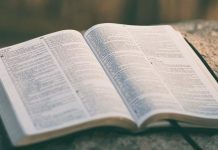 Does it pass the test of Scripture/Canonicity (it aligns fairly and completely with the Canon Scripture)? Does it pass the test of Creedal History (it is affirmed within the history of church creeds and councils)? Does it pass the test of Catholicity (it has universal or near universal acceptance by the church)? Does it pass the test of History (it is affirmed within the collective teachings and traditions of the church over it’s history)? Does it pass the test of the Church Fathers (it is affirmed within the teachings of the Church Fathers)? These tests are the various ways the church has been checking ideas for theological integrity over the whole course of church history. You can skim any of the Ecumenical Church councils and see each of these criteria in action. These tests aren’t implemented equally by all denominations, nor are these tests collectively used by each Christian faith tradition. But together these tests constitute a good approximation for how to discern orthodoxy. This rubric is imperfect in that some orthodox ideas only satisfy a few of these tests. But this rubric is reliable in that there’s no orthodox idea which fails all of these tests. Deviations from orthodoxy are called heterodoxy. Not all heterodox teachings would count as heresy because something could lie outside of orthodox teaching, but it’s not important enough, it doesn’t carry enough consequence, or it’s too much of a terminological dispute (just haggling over word choice, without any other significance underneath). 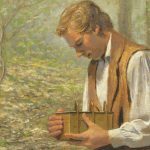 For example, it would be heterodox to teach that Jesus’s favorite number was 9, or that all church buildings should be cross shaped, or that women and men have to partake of communion on different days of the week, or that church services will be meeting only on ground that’s been blessed by a saint. Compared to orthodoxy, the term “heresy” is referring to some teaching or practice which deviates in a contradictory way from orthodoxy. That is, heresy deviates from the established and agreed-upon central teachings in historic Christianity. By “historic christianity” is meant the church universal over the course of it’s history. That includes, Catholics, Protestants, and Eastern Orthodox. There is a continuum of development–as the church refines it’s teaching and practices over time. And there are denominational differences between and within these schools of thought. 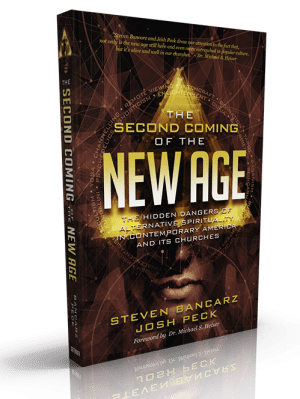 But the changes are not heresy unless (1) they step outside of the agreed-upon theological options vetted across church history (such as the 7 ecumenical councils, Vatican II, the test of Scripture, Apostle’s creed, etc. ), and (2) they address a central teaching of the church, such as a creedal statement or a salvation teaching. For example, many of the teachings of the 2nd century Church Father Origen were not considered heresy at the time, but were later deemed heretical. There is grace for him, however, since the collective wisdom of the church had not yet aligned on the finer points of theology which he transgressed. 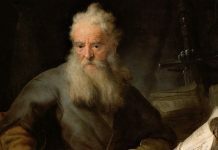 Like the rest of us, Origen was responsible for what he was able to know, not for what he was couldn’t have known at the time. 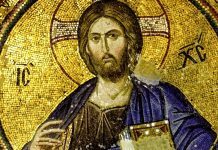 What then is the orthodox teaching about Jesus Christ? Orthodoxy: Jesus is revealed in the Bible; the Promised/Prophesied Messiah; Fully God; Fully Man; Born of a Virgin; Eternal and unborn; Equal Deity w/ the Father and w/ the Holy Spirit; Sinless & miracle worker; 2nd Person of the Trinity; Died by Crucifixion & buried; Bodily Resurrected on the Third day; Into the same but glorified body; Died for the sins of the world; Faith in Him as God & savior is the Only; Means of Salvation; Saves by grace alone, not by meritorious works [of man]; will return to judge all people; reigns forevermore. Orig. ,1st-2nd cent. Jesus was only man *Heresy of the Ebionites. *From the Hebrew word for “poor” which was the name chosen by an early and self-debasing Jewish sect. *They focused on Jesus’ teaching, “blessed are the poor in spirit.” *Deny Deity of Christ. *Deny virgin birth. Deny Jesus’ preexistence (before being born on earth). *Condemned in the Council of Nicea in 325AD. 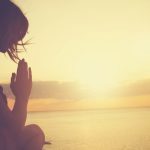 Whether Jesus is God or man? Orig., 3rd cent. Jesus was only God, not man *Aka: Illusionism. *From the Greek “Doketai” meaning “to seem.” *Jesus only seemed to be human but was in reality only God. *First mentioned in the early 3rd century but was found in various views including Marcionism and Gnosticism. *Some assert that another person died in Jesus’ place on the cross. *Condemned in the Council of Chalcedon 451. Orig., 2nd cent. Jesus was man who became Christ or God by adoption. *AKA: Dynamic Monarchianism. *Jesus was a righteous man who became the Son of God by adoption. *The adoption was at baptism where the Spirit or “Christ” descended on Him. *Some think He became “God” at the Resurrection. *Earliest expression of this view was in the “Shepherd of Hermas.” *Also affirmed by Theodotus. *Rejected by the church in the 2nd and 8th centuries. *Compatible with Arianism. *Condemned in 325 at the Council of Nicea. Orig., 4th cent. Jesus was a demigod—less than God, more than man. *Jesus was less than God but more than man. A demigod. *Jesus was created, finite, and could sin. *Similar to ebionism and compatible with adoptionism. *Advanced by 4th Century Bishop Arius. *It took 18 church councils to resolve the issue, most of them being the Nicene Council. *Condemned in 325 at the Council of Nicea. Orig., 4th cent. Jesus had no human mind. *Jesus lacked a human mind/soul, having instead a divine mind. *Jesus had all the other parts of a human however: spirit, body, and animal soul (the animating force but not the intellect or spirit). *Espoused by Apollinarius in the 4th century. *Condemned in the 4th century, in 381 at the First Council of Constantinople. How is Jesus God and man? Jesus had only one divine nature and no human nature. *AKA: Eutychianism, named after its founder Eutychus. *Jesus had only one nature the divine nature which absorbed and nullified any human nature. *Affirms that Jesus is both divine and human, but not “fully” human. *Slightly different from Apollinarianism. This view asserts that Jesus had one nature, while Apol. asserts Jesus had one soul. *Condemned at the Council of Chalcedon 451. Orig., 5th cent. Jesus has two unmixed, unrelated, natures. *Jesus is two distinct natures, and only one, the human nature, was birthed by Mary. *Nestorius (5th cent.) vigorously opposed the phrase “[Mary] Mother of God” (Theotokos), preferring the phrase “Mother of Christ” (Kristotokos). *The human and divine natures are separate and distinct. *Condemned at the Council of Ephesus in 431AD. Orig., 19th cent. Jesus was only a mythical character. *Originally taught by Charles Francois Dupuis (1742-1809). There are two-major variations. Strong mythicism teaches that there was no historical Jesus, a.k.a., Jesus of Nazareth. 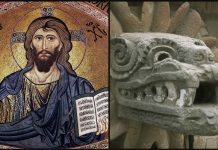 Weak Mythicism teaches that the “Jesus of faith” is radically different from the Jesus of history who was, instead, either a mere mortal subject to evolving myth and legend or he is an amalgam of characters and events fused together in the course of legendary accrual. 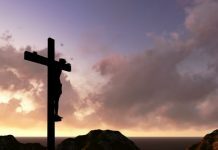 This article was originally featured on Intelligent Christian Faith and was used with permission from the author.